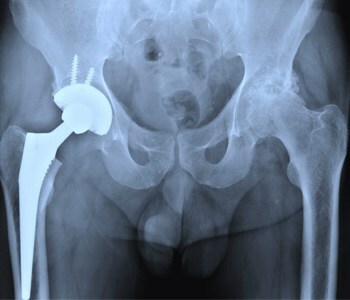 Undergoing a knee or hip replacement can be frightening and overwhelming. 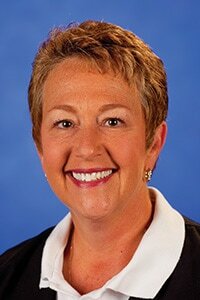 But Amy Brentlinger, RN, BSN, Joint Care Coordinator at Saint Francis Medical Center’s Center for Joint Replacement & Revision, wants patients to know they are not alone: They can always contact her for support and answers to their questions. Brentlinger works with each patient to make sure they know what to expect before, during and after their surgery. When patients first meet with their physician, they receive a guidebook filled with pages of information. They also attend a 2 ½-hour preoperative class that Brentlinger teaches. “We want adequate time to prepare the patients and their families for surgery,” says Brentlinger. Brentlinger sees most patients just a few hours after their surgery and tells them what they can expect over the next few days. Then, as they undergo group therapy sessions, she checks in on them periodically. When it is time for them to leave the hospital, she goes over discharge instructions. Brentlinger plans quarterly reunion luncheons for past patients. The events give her an opportunity to solicit feedback from people who have finished the entire joint replacement process.